Arctic ice has reached an all-time low in what scientists consider to be a sign of global warming. The National Snow and Ice Data Center reported last month’s winter peak for Arctic sea ice area at 5.57 million square miles— 35,000 square miles less than the 2015 record (which is approximately the same size as the state of Maine). This season’s unusually warm temperatures in the Arctic have contributed to the record ice melt. The North Pole experienced a 50-degree temperature surge above the average during the last week of December. “It’s a key part of the Earth’s climate system and we’re losing it. We’re losing the ice in all seasons now,” said Mark Serreze, director of the National Snow and Ice Data Center. Antarctica also hit a record low for sea ice this year. 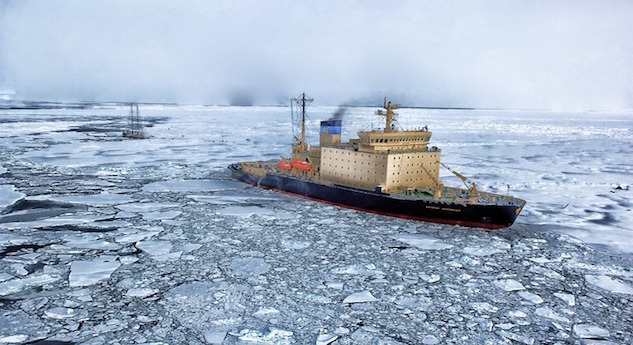 Scientists believe natural causes like weather and manmade causes such as the burning of coal and gas are to blame for the decreasing sea ice. The journal Nature Climate Change recently published a study that found natural causes to be an explanation for plunging Arctic ice lows last September. As ice continues to melt and expose more regions, drilling for oil and gas in the Arctic will increase along with economic activity. Serreze explains that this could lead to rising tensions between countries in competition for new resources. Chamberlain Smith is a freelance writer based in Athens, Georgia.